Mono County, California is pure, natural beauty at its finest. It’s full of outdoor wonders waiting to be discovered. US 395, which runs through Mono County, is often praised as one of the most beautiful trips in America. From north to south, it forms a ribbon along the foot of the Eastern Sierra. Here are 5 of the most breathtaking spots in Mono County, California. Backed by the jagged spires of Sawtooth Ridge, Bridgeport is the center of a vast recreational playground and the gateway to numerous alpine canyons, peaks, lakes, streams, and hot springs. 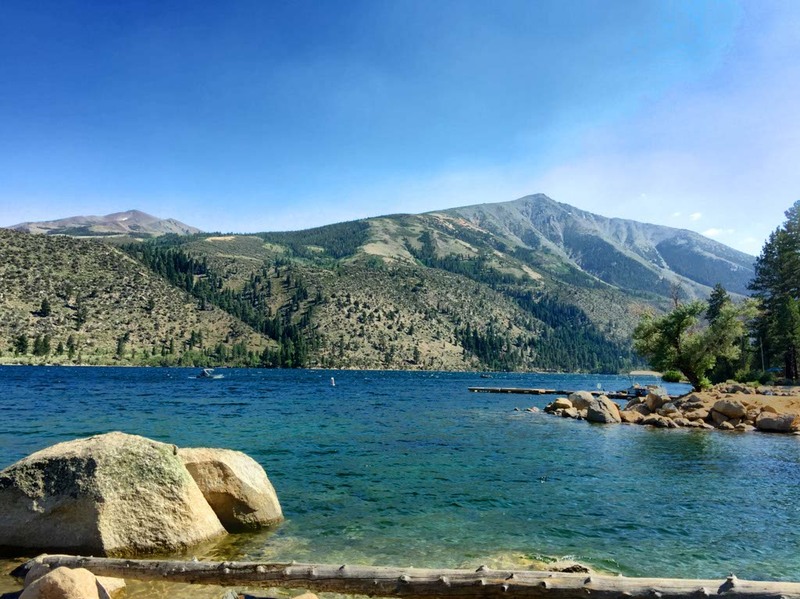 Nearby, Twin Lakes buzzes with activity all summer, including fishing, boating, hiking, and camping. For a rustic getaway, stay at Twin Lakes Resort where the people are friendly and the views are spectacular. On my short walk from the General Store to my cabin, a baby deer followed by my side. I fed her and pet her before she continued on her way. Twin Lakes Resort is a place where time seems to stand still and natural beauty is in abundance. California’s official gold mining ghost town, Bodie was filled with wickedness, bad men, outlaws, robberies, stage coach hold ups, and street fights. From 1877 to 1888, the community swelled to more than 10,000 residents and produced over $35 million in gold and silver. 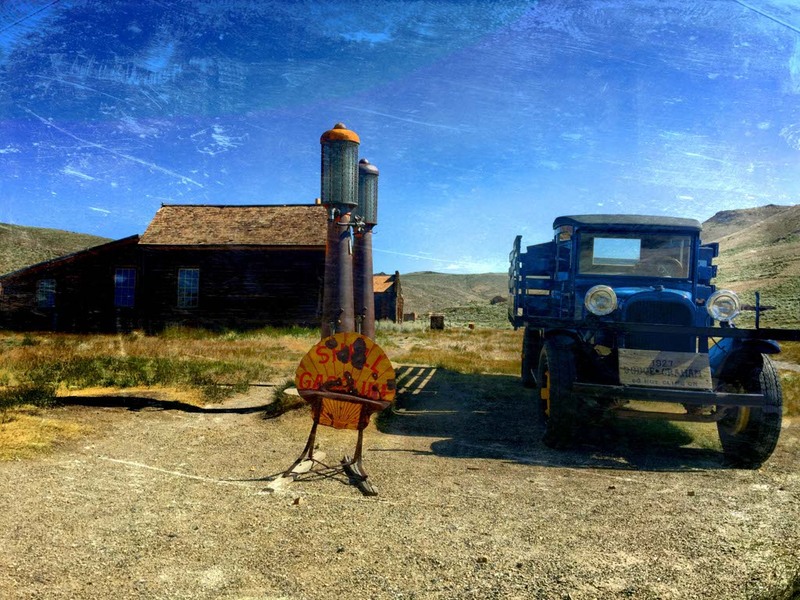 Now a State Historic Park, Bodie is the largest unrestored ghost town in the West. Explore the museum, follow a self-guided tour, or wander the long-abandoned streets and peek into the windows of the past including homes, a general store, a saloon, the jail, a hotel, a barbershop, the schoolhouse, and a church for a glimpse into a life of a bygone era. The entrance fee for Bodie is $8 for adults and it is not part of the California State Parks pass. There are free daily history walking tours and a stamp mill tour for $5. Both tours meet at the museum. Bodie is hot! Be sure to bring plenty of water and sunscreen. You can purchase water at the museum but there is no food service on site. Don’t forget to pack snacks. One of the oldest lakes in the western hemisphere, Mono Lake is stunningly beautiful. The lake’s most distinctive feature is its tufa towers – v This inland sea plays host to millions of migrating birds that come to feed on its teeming populations of alkali flies and tiny brine shrimp. 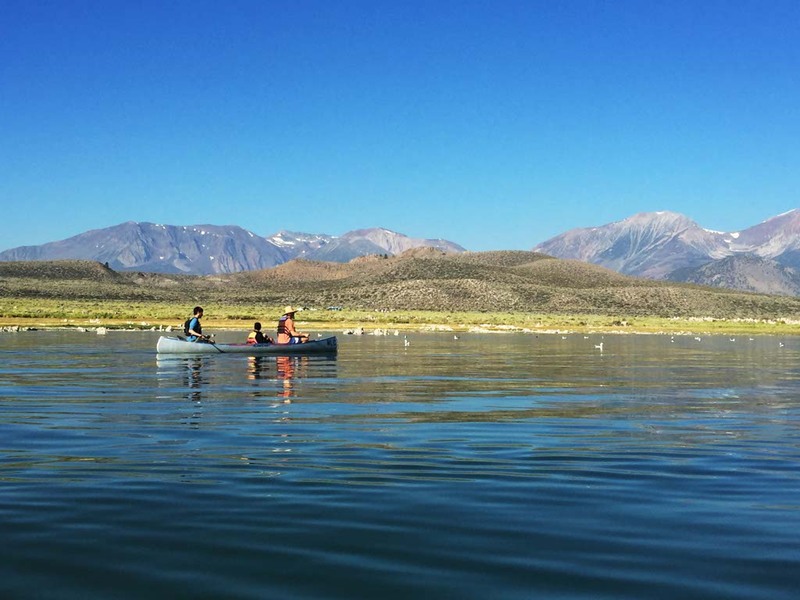 Book a canoe tour of Mono Lake starting at South Tufa. The guides are knowledgeable and give you tons of information about the area and the tufa. You’ll get an up-close-and-personal view of the tufa and enjoy a relaxing one-hour journey around the lake. Stop at the Mono Basin Scenic Area Visitor Center and the Mono Lake Committee Information Center for brochures, information, directions, and restrooms. Both show short films on the lake. Mono Basin Scenic Area Visitor Center has great views overlooking the lake and nice exhibits on history and geology. Ask about the Panum Crater Walking Tour that is led by a volunteer of Forest Service. It walks up and into the middle of a dormant plug dome volcano. It’s hot and exposed, but worth the trip. Stay at Tioga Lodge at Mono Lake for stunning vistas and friendly staff. The picturesque village of June Lake and the resorts along its scenic 16-mile loop offer a range of year-round accommodations and amenities with the relaxed atmosphere of a mountain hideaway. The loop’s four glistening lakes are renowned for fishing and are stocked with trophy-size trout. Campgrounds, RV parks, paddleboats, horseback riding, and hiking trails mean endless summer fun. Autumn brings a phenomenal display of colorful aspens along the loop and in winter June Mountain Ski Area is a family-friendly favorite. Check out June Lake Brewing and their food truck. Go hungry. June Lake Beach is a beautiful spot to spend an entire day. Parking is free and plentiful and there are kayak rental options onsite. 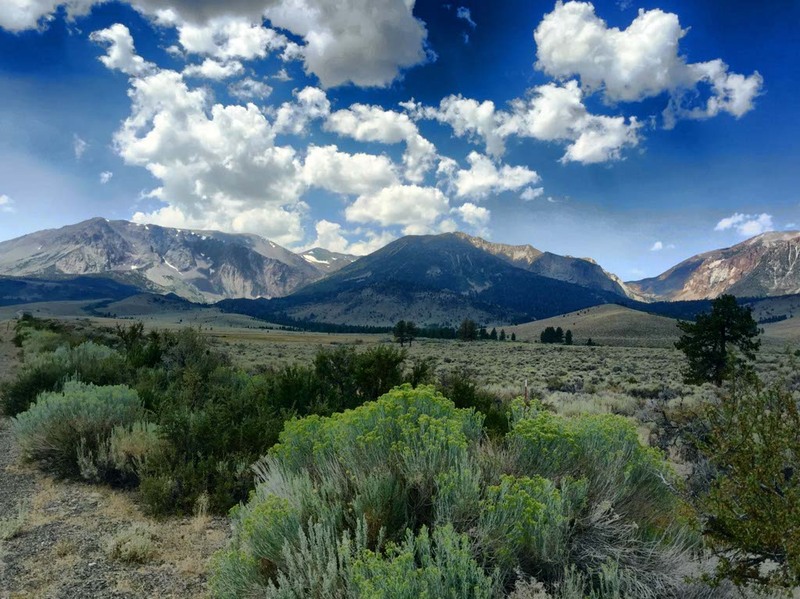 Known for legendary skiing and snowboarding, Mammoth is just as popular in summer with excellent trout fishing, hiking, mountain biking, camping, horseback riding, and golf. Jazz and blues and arts festivals fill the summer events schedule along with athletic competitions and live theater productions. Stay at the Westin Monache Resort for the best access to the village and the free Mammoth shuttle. The service is exceptional, there is parking onsite, and the outdoor pool is heated. Two popular hikes worth experiencing are Rainbow Falls and Emerald Lake. 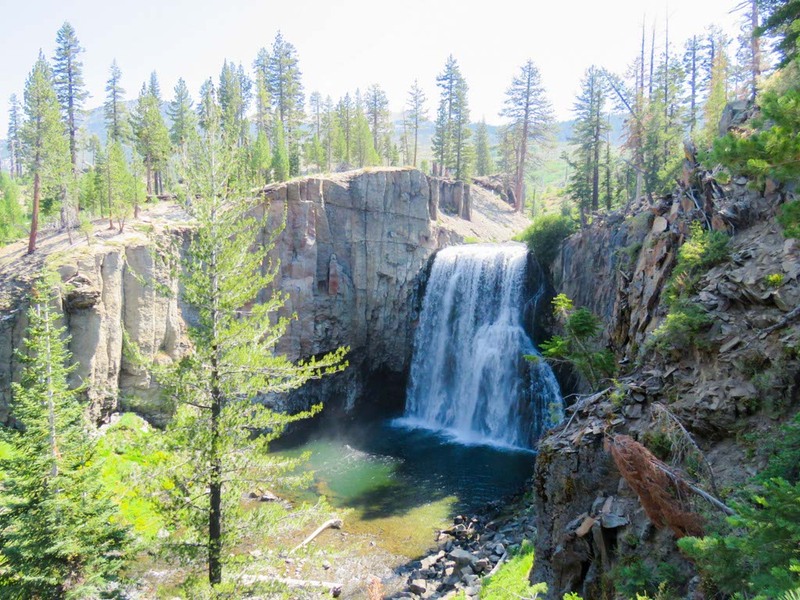 Rainbow Falls hike includes Devil’s Postpile and Red’s Meadow. Be sure to hike up the mountain for lunch at Mule House Café at Red’s Meadow Resort. During the Emerald Lake hike, stay to the right for the best river views along the trail. Devi’s Postpile is one of the world’s finest examples of columnar basalt formations. This rare geologic wonder is not to be missed. Its columns stretch 60 feet high and a foot path allows you to walk to the top to see the hexagonal pattern of unusual symmetry. Formed less than 100,000 years ago, the Postpile was the result of a lava flow that cooled into multi-sided columns. The walk from the Devil’s Postpile parking lot to the monument itself is only about a ¼ mile and has been graded for accessibility. Rainbow Falls, part of the National Monument, is a two-mile trek downstream from Devil’s Potpile. A relatively flat hike – except for the steps down to the base of the falls – most visitors find the reward well worth the effort. Rainbow Falls is an impressive 101-foot drop and is usually graced with a rainbow, especially about mid-day. 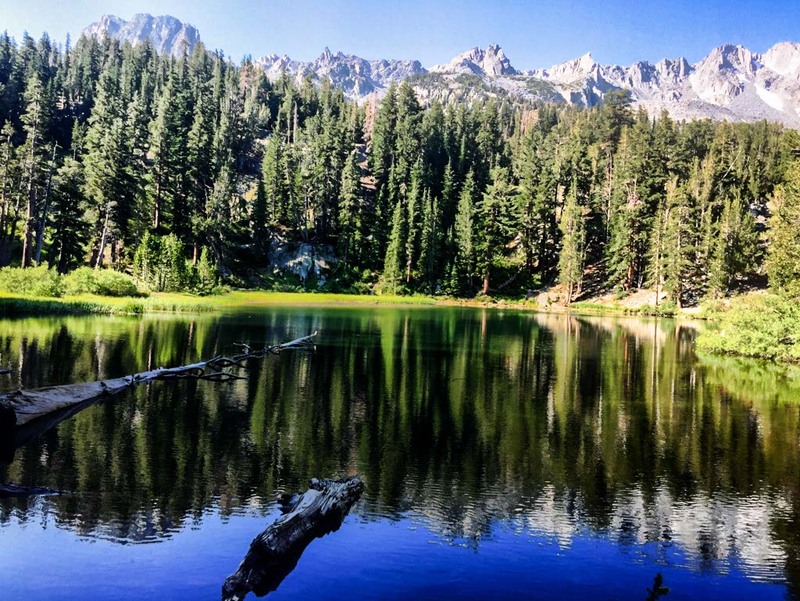 Mammoth Lakes Basin is just minutes from the Town of Mammoth Lakes and is a spectacular haven for trout fishing, paddleboarding, hiking, camping, and cycling along the paved bike trail. Take the gondola ride to the top of Mammoth Mountain for the best views in the area. Mono County has chains of volcanoes, an inland sea, emerald lakes, and the ground is laced with veins of gold and silver. It’s a place that heightens the senses and brings you in deep. It’s the type of place that you go for a visit and find yourself staying for life. I love the diversity of California, from deserts to vineyards to mountains and lakes. These places really are breathtaking! I would love to visit Mammoth Mountain and lakes. This looks like a fantastic place for the outdoor adventure lover. Very cool about the ghost town too! I love places like that that seem like time forgot. I think Mono County is one of the few of the 58 California counties I haven’t been to. Would love to spend a day at June Beach and then head over to the brewery. Will have to put it on the agenda for next summer. I would really love to check out Mono Lake and June Lake, especially a canoe tour. We always love paddling! Looks like a ton of fun adventures in this area and gorgeous scenery, too! Thanks for the tips! Love that you highlighted a food truck in June Lake. The photos of the places you chose are breathtaking!